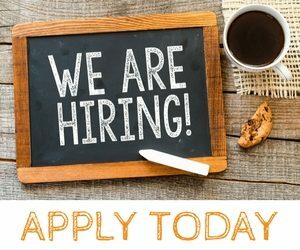 The Peak Team Is Hiring! Join Our Family Today! “I am so glad that I contacted you and came in to interview. You guys offer so much more than any of the other teams that I have interviewed with. I really feel like I will be able to be very successful as part of your team. 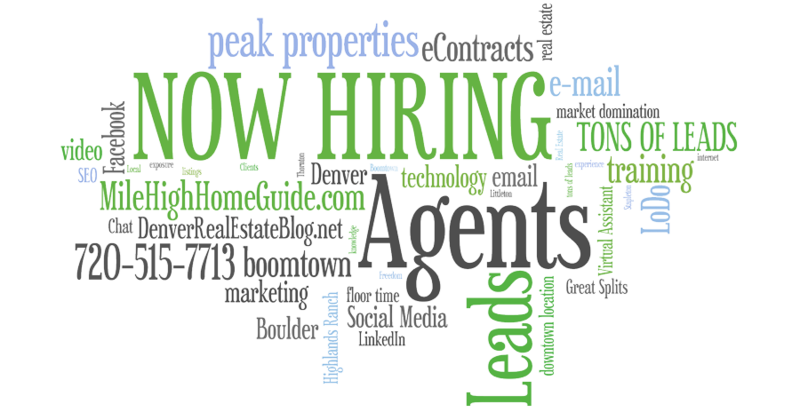 You guys have done a very good job at fulfilling all of the needs of an agent.” – Our Newest Agent PartnerOur Denver Real Estate team is GROWING and FAST, we are looking for agents that want that “Competitive Edge” we always hear about and more LEADS than they can shake a stick at! We have built a very non-traditional Real Estate Team, we run our team as a business for our agents and help them build a sustainable business for the future. We believe in letting you do what you do best… SELL HOMES! Let us handle everything else that does not make you money, so you can focus to get more done in less time. Sales Manager and Web Marketing/SEO Manager ON STAFF!!! Full Listing Support – FREE SIGNS, FREE BUYER ACQUIRE, FREE MOBILE LISTING APP, FREE FLYERS, FREE LOCKBOX, FREE PROFESSIONAL PHOTOGRAPHER, FULL MARKETING SUPPORT, ON-GOING MONTHLY TRAINING. NOT AFRAID OF THE PHONE… We are not cold calling, but a BIG part of Real Estate is spending quality time on the phone. Laptop, Smart phone, and iPad or be willing to get them before you start. If this sounds like you contact Alex by calling 303-565-7565 to set up an interview today!